ST. GEORGE — A man was arrested and charged in Littlefield, Arizona, Tuesday after allegedly replacing the license plates on a stolen car with those of another car registered in his name. 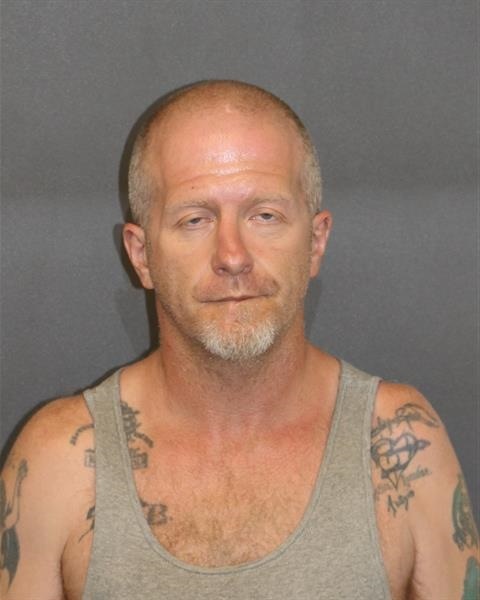 Tully Wade Herd, 46, was arrested by Mohave County Sheriff’s Deputies and charged with a felony offense of unlawful use of means of transportation. Authorities received an anonymous tip that Herd was driving around in a stolen blue 2000 Saturn, according to a news release issued by Mohave County Sheriff’s Office. Arresting officers arrived at a residence on Shadow Mountain Road in Littlefield at approximately 1:30 p.m. Tuesday where they observed the blue Saturn. A computer scan of the plates on the car returned to a green 1999 Saturn owned by Herd. A VIN check on the blue Saturn also revealed the car was reported stolen out of Las Vegas. The deputies then questioned Herd at the residence about his newly acquired car. Herd was advised by arresting deputies that the blue Saturn was reported stolen. He was taken into custody without incident and booked into the Mohave County Jail. The car was towed away and turned over to Las Vegas Metropolitan Police Department for further investigation and to contact its original owner. He’s a bright one, eh?